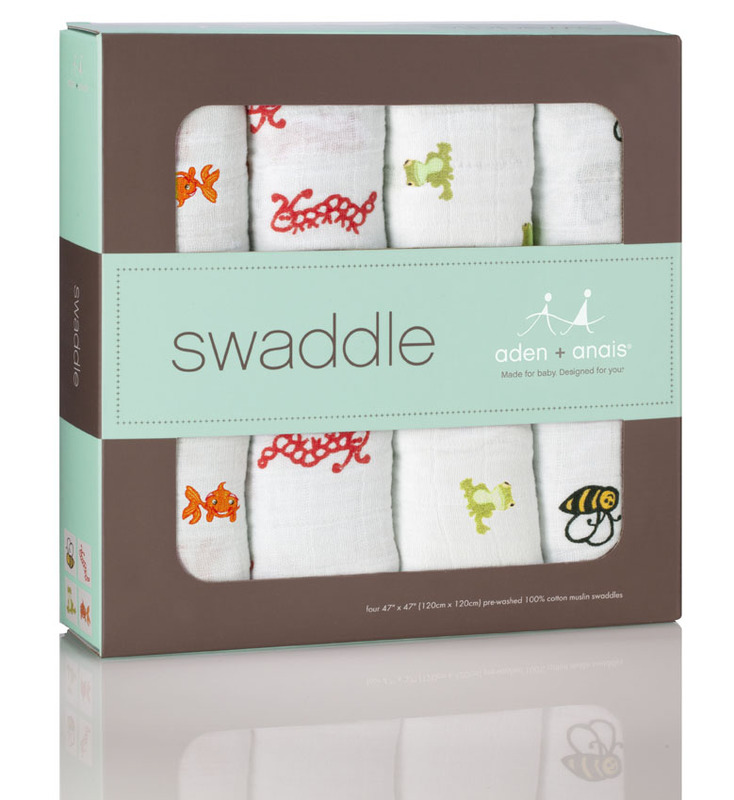 Today we are featuring our lovely 'Mod about baby' swaddles from Aden + Anais. A pack of four swaddles in this beautiful gift box. Cute animals appear on these Aden + Anais swaddles; fish, caterpillars, frogs and bees. A beautiful bright contemporary designed collection of swaddles courtesy of Aden + Anais. With it's lightweight open weave and made from 100% fine cotton muslin, it's a perfect swaddle for its breathability and softness.